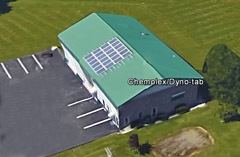 Dyno-tab® products are manufactured by Chemplex Automotive Group Inc., now at our new location in Independence, Missouri. After 25 years in California, Chemplex production has a new home in the beautiful state of Missouri, which is centrally located for fast distribution throughout the US. 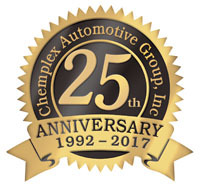 Chemplex was founded in 1992 and produced a line of conventional liquid additives for the automotive service professional. Chemplex developed an innovative ‘tablet technology’ fuel additive in 1998, and produced a series of private label products for the international market. The Dyno-tab® brand debuted in the U.S. at the Las Vegas Automotive Aftermarket Product Expo (AAPEX) in 2000 with one SKU. Today the product line has grown to over 30 items. The fuel additive range includes Fuel Treatment, Injector Cleaner, Fuel Stabilizer, Octane Booster and Ultra Fuel Booster. Windshield Cleaner tablets are offered in a single use pack and a 25-tab tube for higher volume users. With the addition of the Cooling System products, Dyno-tab® offers options that are ideal for multiple markets and channels of distribution. Dyno-tab® is available in the U.S. and internationally through independent distributors and online shop sites. Chemplex/Dyno-tab® is a proud member of several Industry Associations including the Auto Care Association (ACA, formerly AAIA - Automotive Aftermarket Industry Association), the National Association of Independent Businesses (NFIB) and the National Association of Manufacturers (NAM).